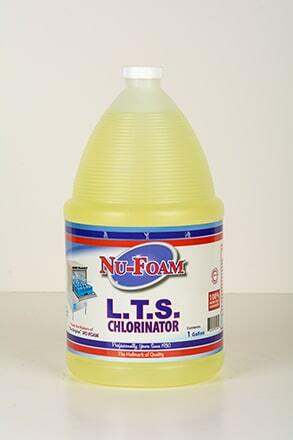 A most superior and advanced formula for the automatic washing of bar glassware. Works with either high or low temp machines. 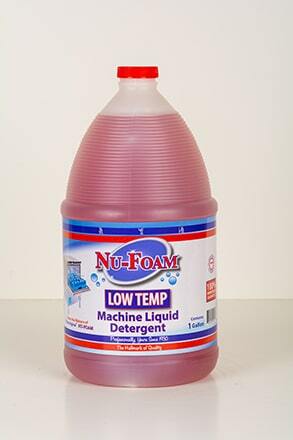 This is a top quality liquid detergent designed for use in a HIGH or LOW TEMP commerical glass or dish washers. 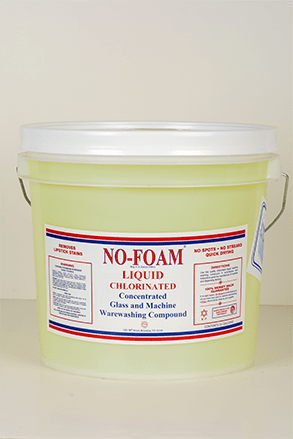 This concentrated formula removes all fats, grease and food residue from dishes, glassware, pots, pans and all kitchen utensils. 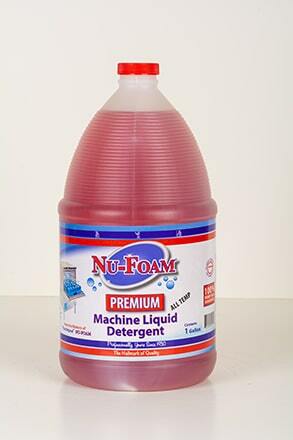 NU-FOAM® Premium Machine Detergent contains very special water softening agents to help eliminate any spotting or streaking in hard water areas. 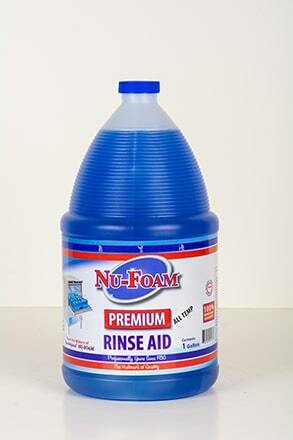 Our NU-FOAM® Premium Rinse Aid has been specially formulated for use in either HIGH or LOW TEMP commerical dish and glass washers. It has very high active ingredients providing excellent sheeting for quick drying. 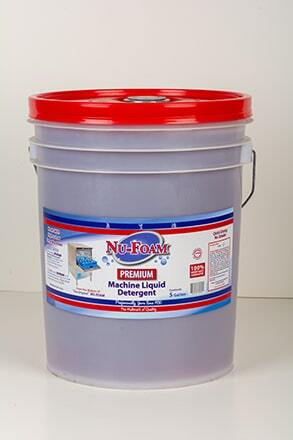 It is effective in all water conditions for spotless dishes, glassware and flatware. No hand drying is ever necessary. 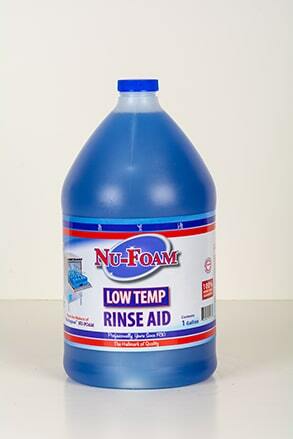 This fine liquid detergent is specially formulated for use in LOW TEMP commerical glass or dish washers where temperatures range from 120° to 160° F. Your dishes, glassware, pots, pans and all kitchen utensils will be sparkling clean when using NU-FOAM® LOW TEMP Machine Detergent. 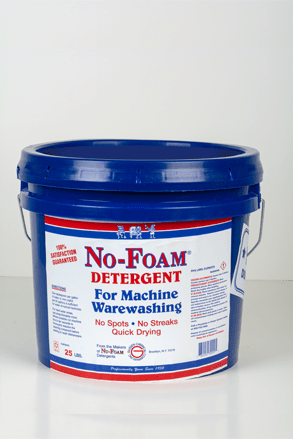 This is a concentrated formula with superior drying agents designed to provide rapid sheeting and spotless drying for every load. This product is made for use in LOW TEMP glass and dish machines and can be used in all water conditions. 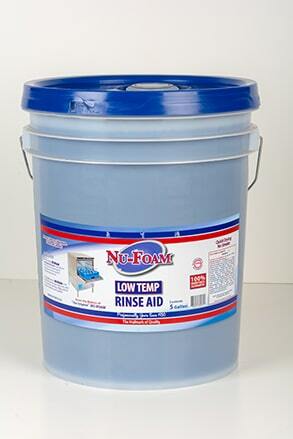 NU-FOAM® LTS will provide desired amounts of chlorine to your wash system enabling you to stay up with code while saving money on your utility bills every month. 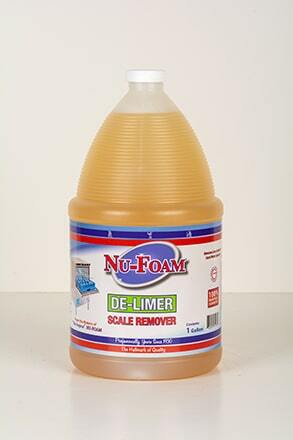 NU-FOAM® De-Limer is a non-hazardous, acid free liquid. 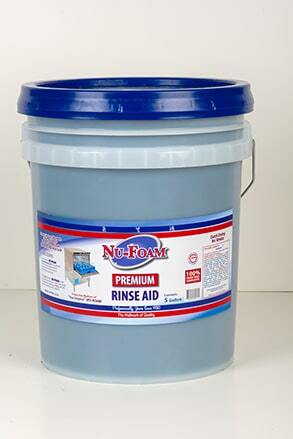 It has been specially formulated to remove hard water build up in most dish and glass washing machines. 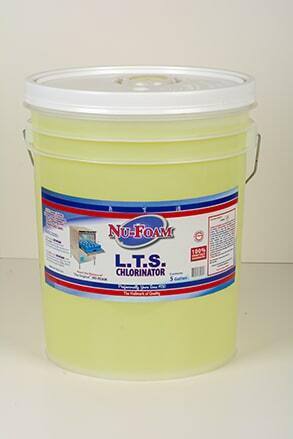 Works well in ice machines, cleans lime build up on most surfaces. 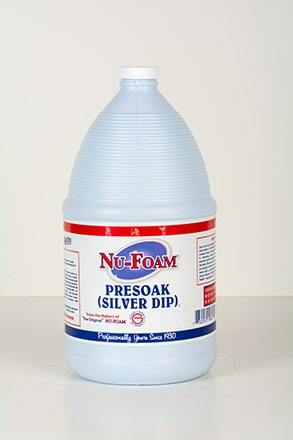 Can be used as an all-purpose cleaner on stainless steel surfaces in commerical kitchens. 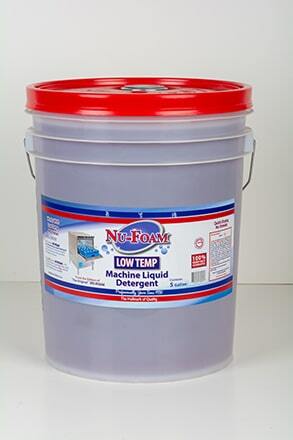 NU-FOAM® Pre-Soak is a concentrated liquid made expressly for the loosening of food products from utensils and cookware; also removes tarnish from silverware. It will remove the blue look from stainless flatware. 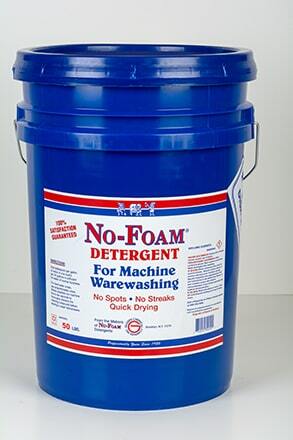 No-Foam Chlorinated is the same top quality machine ware washing detergent as the powder version, except in liquid form. It's designed to be used in machines that have automatic liquid dispensing devices. Excellent for china, glassware and utensils. Eliminates water spots. Effective in hard water areas. 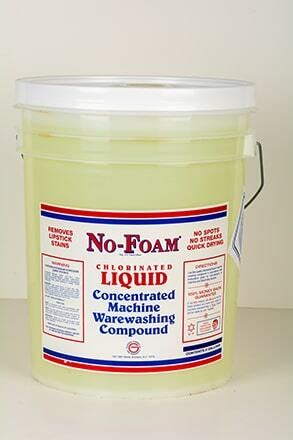 No-Foam is a white powder.